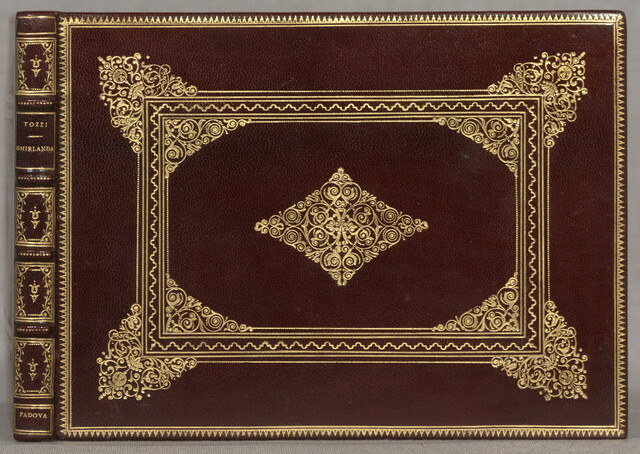 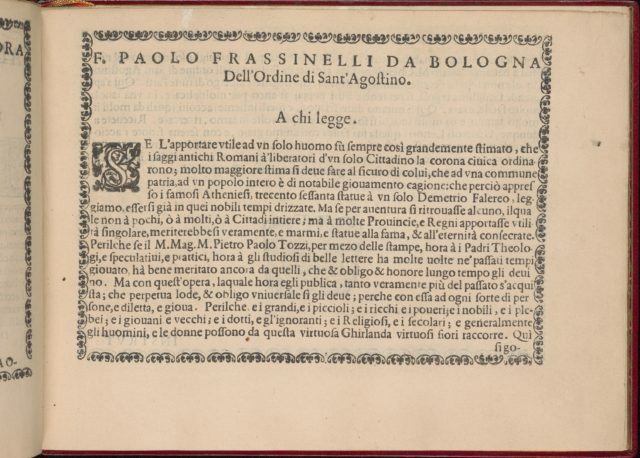 Designed by Pietro Paulo Tozzi, published by Libraria del Giesu, Padua. 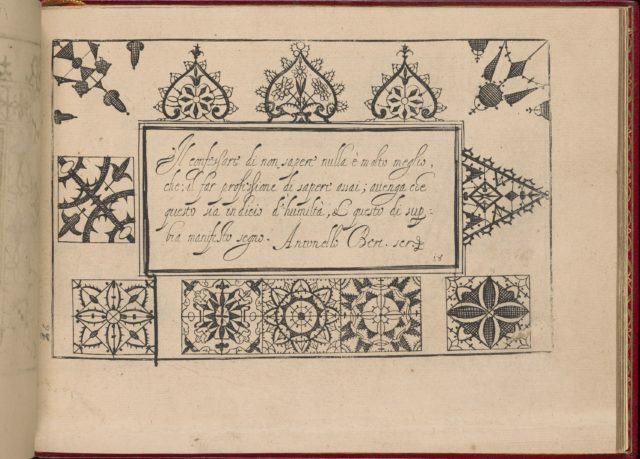 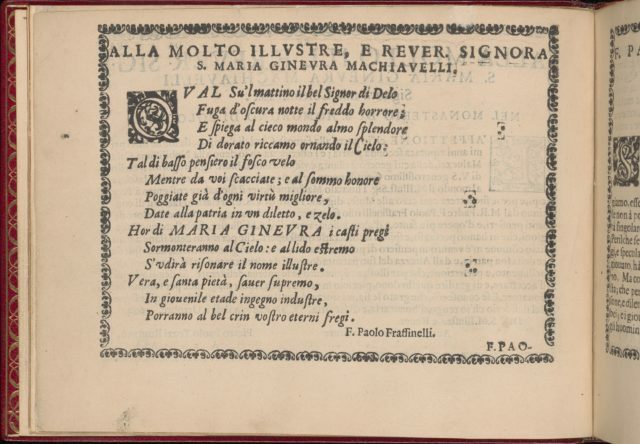 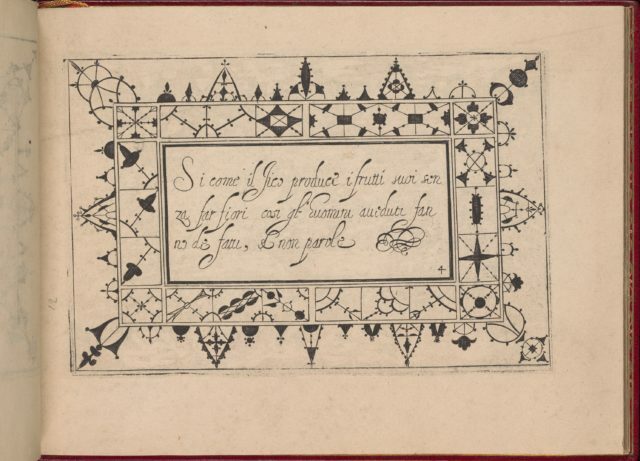 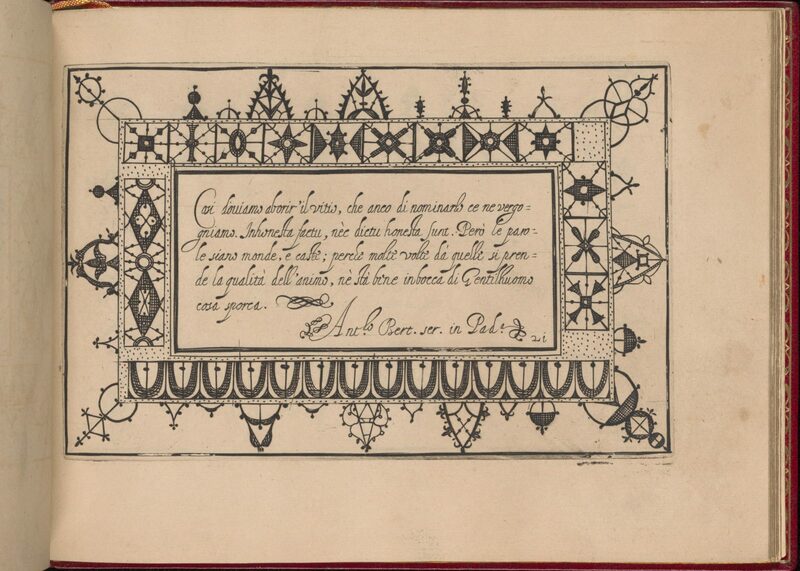 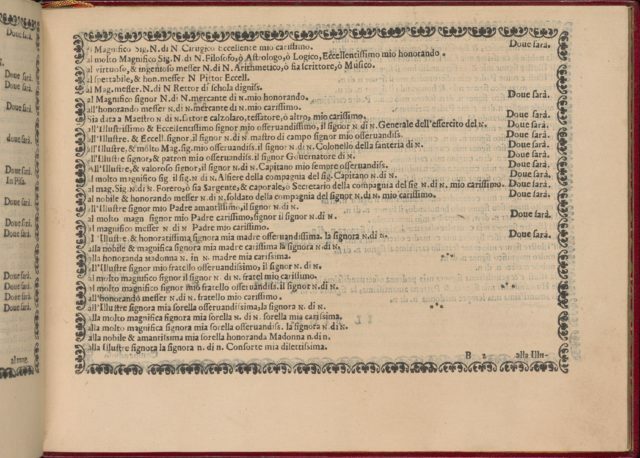 Calligraphy by Antonello Bertozzi and Sebastian Zanella, scribes of Padua.Design is composed of a central rectangle upon which calligraphic text is printed in black. 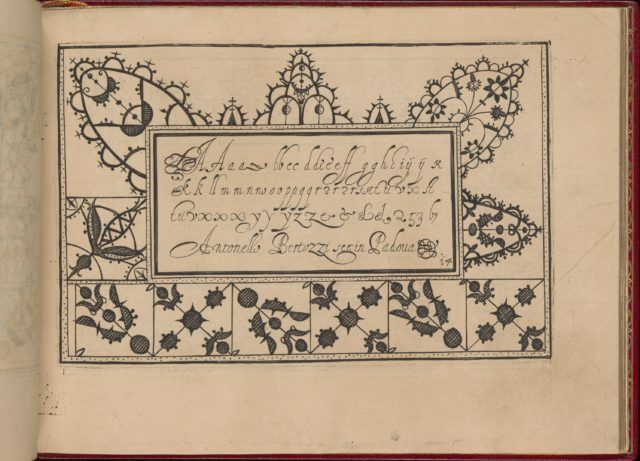 Immediately following the last line of text as well as before and after the calligrapher's signature there are twisting linear motifs. 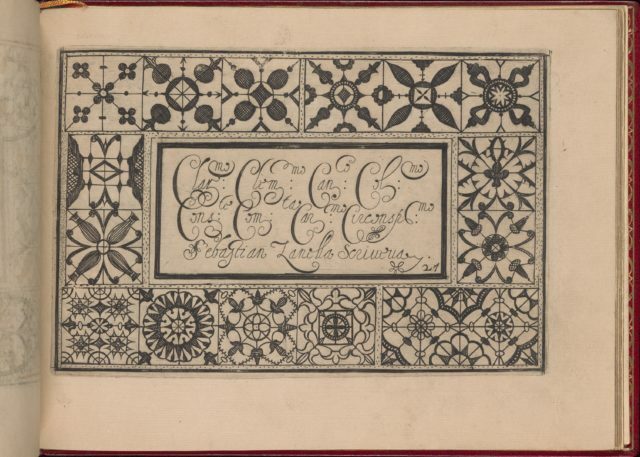 Surrounding this middle section is a decorative border comprised of 2 levels of geometric floral and linear motifs.